Built : 1979 by Sumitomo Heavy Industries’s Oppama shipyard – Oppama in Japan, nr 1016 as Seawise Giant. 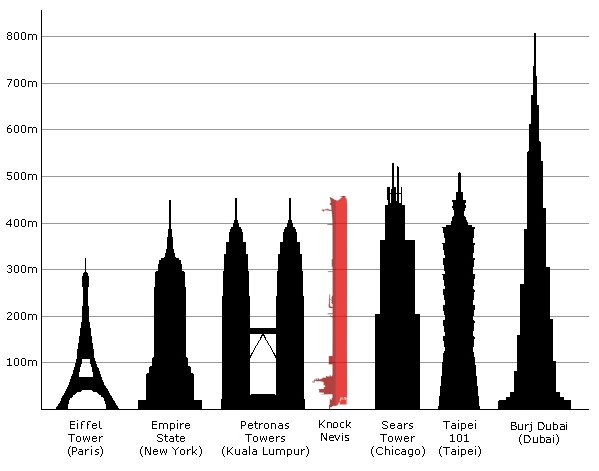 The biggest tanker in the world, a true monster of the sea : The Knock Nevis is bigger than some small islands in the world. 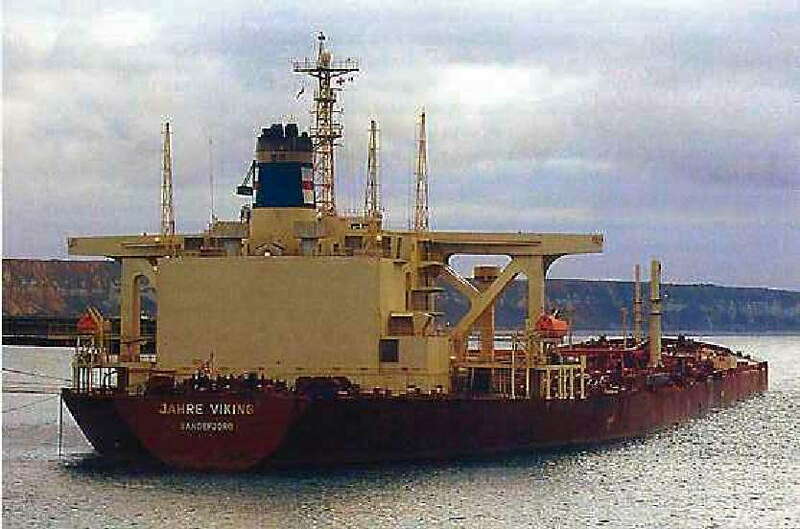 She was build for a Greek shipowner who couldn’t fulfill his obligations and the ship was sold to Hongkong based OOCL who immediately had her lengthened by a couple of meters. 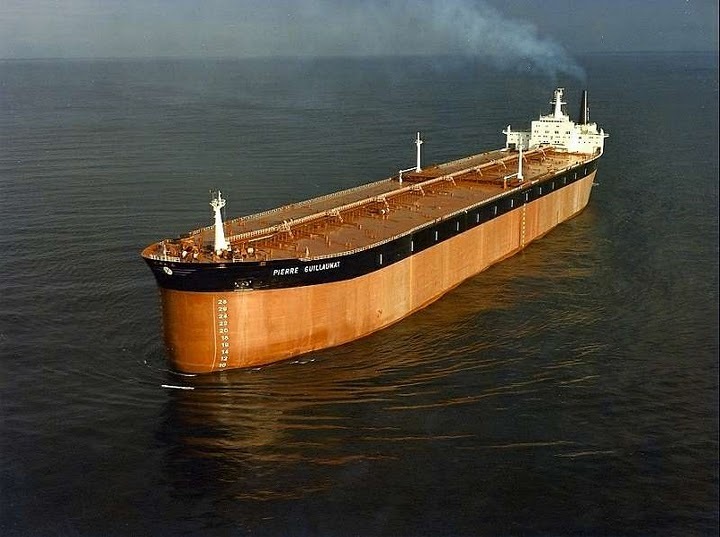 Some “interesting” stats: length: 458.45 m, width: 68.8 m, draft: 24.61 m. She could carry 564,650 metric tons of oil in 46 tanks. 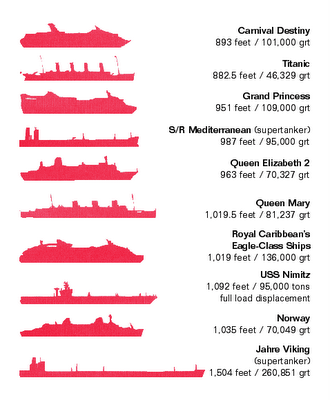 Her deck is a surface of 31,541 square metres. She is too large to pass the Panama Canal and the Suez Canal and she draws too much water to pass the English Channel. 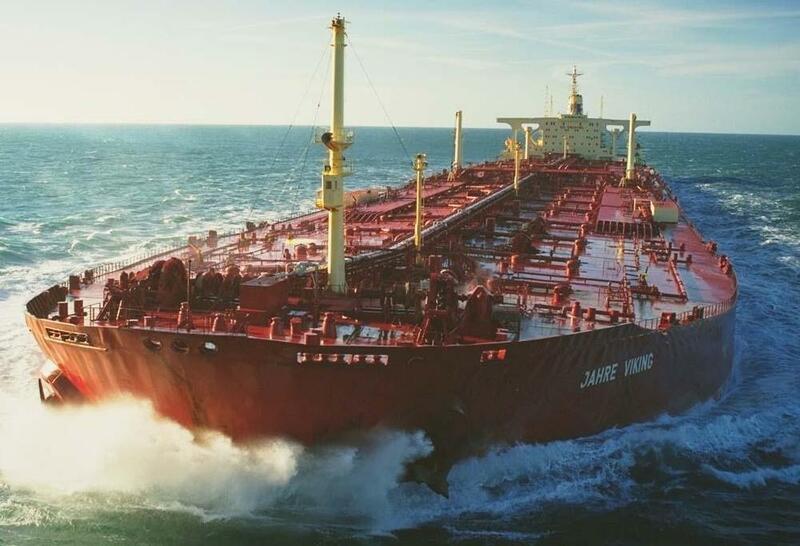 She traded the waters of the world and transported millions of metric tons of oil for years while flying the Norwegian flag until during the first Gulf War she was attacked with Exocet rockets by Iraqi jets. 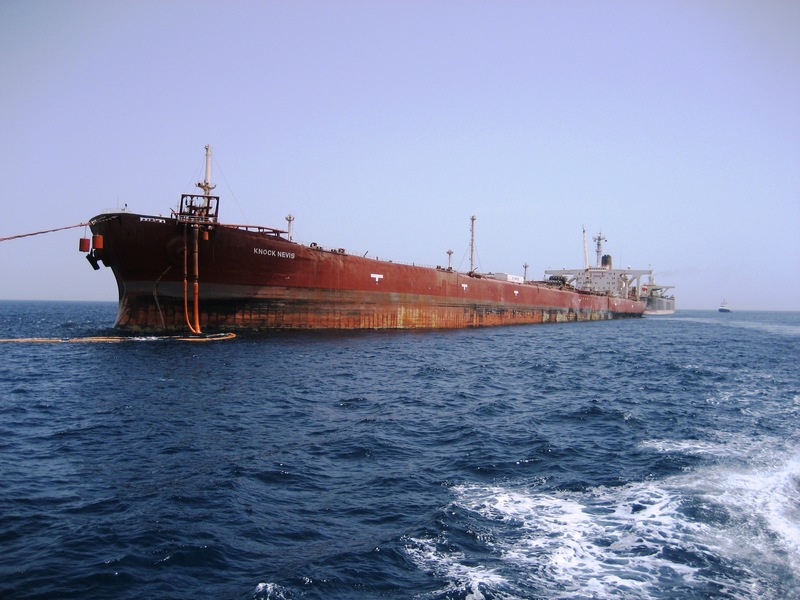 She sank is the shallow waters off Iran’s Kharg Island. After the war she was refloated again by a Norwegian company who had her towed to Singapore where she was repaired and converted. In 1991 she set sail again as the Jahre Viking. 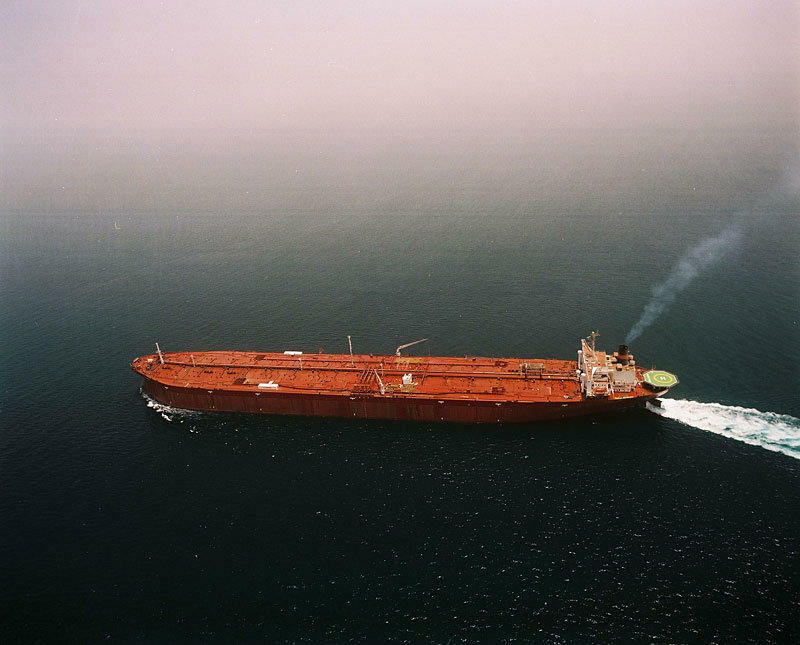 In 2004 she was sold to Singapore based First Olsen Tankers who had her converted to an FSO: a Floating Storage and Offloading unit. She was also renamed to Knock Nevis. 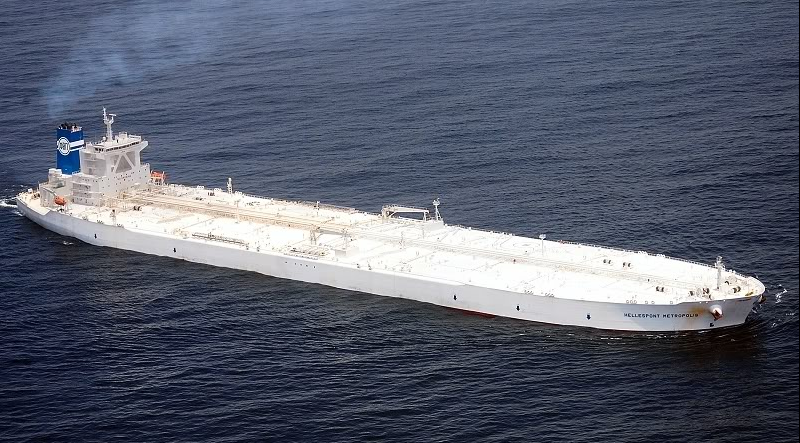 For years after that she was permanently moored in the Qatar Al Shaheen oil field in Quatar waters of the Persian Gulf. And somewhere in the last few weeks she is sold again, most probably for the last time. She is renamed Mont and is underway on a single voyage to India where she will end up on one of the beaches of Alang to be scrapped. And an interesting article about her HERE. There were 4 more vessels challenging for the title Biggest Tanker in the World: they belonged to the Batilus class from Shell Tankers. Although their Gross Tonnage was bigger the Knock Nevis (ex-Seawise Giant) could actually transport more cargo so she won. But these 4 sisterships are already scrapped, the last one in 2003. After the Knock Nevis is scrapped the TI Asia and her sisters TI Europa, TI Oceania & TI Africa will be the biggest vessels in the whole wide world. She’s now on the beach. See a pic at http://www.midshipcentury.com/ (bottom of page).